John Bird's fascination with social and economic systems gives invaluable context to Albion’s investing and wealth-management strategies. Specializing in complex financial planning issues, client investment policy formulation, and private account portfolio structure, he helps each client chart a course for long-term prosperity. Empowering clients to make educated decisions in an ever-changing world is his passion. John has received numerous recognitions in national and local publications including Bloomberg Magazine, Worth Magazine, Medical Economics, The Salt Lake Tribune and Deseret News. John currently serves as a member of the CFA Institute, the Salt Lake Society of Financial Analysts, the Utah Estate Planning Council and as Finance Chair on the Board of Trustees of Rowland Hall School. He has also served as a board member for the Utah Chapter of the Financial Planning Association, and as Chairman of the Western Region of the National Association of Personal Financial Advisors. One of the provisions in the Tax Cuts and Jobs Act of 2017 (TCJA) included the ability for an owner of a 529 education savings plan (such as Illinois’ Brightstart) to use the funds for K-12 private schooling just the same as for post high school expenses. This means that, at least at the federal level, owners of these plans will not pay tax on the growth of these funds if used for any private K-12 schooling. Previously this option was only available with a Coverdell savings plan, but TCJA extends this treatment to 529 plans. Danielle L. Schultz, the principal financial planner of Haven Financial Solutions, is a CERTIFIED FINANCIAL PLANNER™ (CFP®), a NAPFA-registered Financial Advisor, and a Registered Investment Advisor in the State of Illinois. 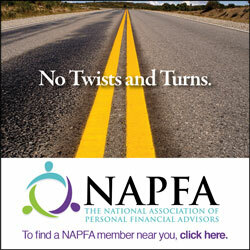 She studied financial planning at Northwestern University’s Certified Financial Planner™ certification program. She also holds a Series 65 license (Registered Investment Advisor Representative) and a CCPS (Certified College Planning Specialist). She writes a regular column for Better Investing magazine and is currently working on a revision of their mutual funds handbook. In addition to academic training and professional experience, Ms. Schultz has personally managed Social Security, Medicare, retirement and long-term care issues; college funding concerns; and cash flow and transition planning in self-employment and divorce situations. Her social work background gives her an innovative perspective on financial planning issues; for her, financial planning is not only about money, but also a key component in a satisfying and well-lived life. I’ll control the amount of money I spend on a house. What lenders will loan you is not necessarily what you should spend. Your housing decision drives the costs of many other things in your budget: upkeep, insurance, repair costs, and maybe status decisions such as where you send your kids to school and what car(s) you drive. Once you commit, it’s a fixed cost that isn’t easy to reduce. Keep your housing cost (mortgage+interest+taxes+homeowner’s insurance) to 28% or less of your gross and you’ll reduce stress and free up money for savings. Victor P. Cannillo, NAPFA-Registered Financial Advisor, Founder, is a Wealth Management Principal with Baron Financial Group and the founder of the firm, with over 20 years of experience in the financial industry. He received his Bachelor’s degree in Finance and Investments and completed all of the coursework from the Certified Financial Planning program. As a result of his relationship with a special needs family member, Victor has been personally touched with the challenges associated with special needs. This relationship led him to become active in the special needs community, particularly with Spectrum for Living, a not-for-profit organization dedicated to helping adults with developmental and/or physical disabilities. Victor brings a strong business background to Baron Financial and implemented a team-based approach to financial planning at the firm.